Here’s my confession. I’m not much of a shopper so I stick with the same stuff I’ve had for years. 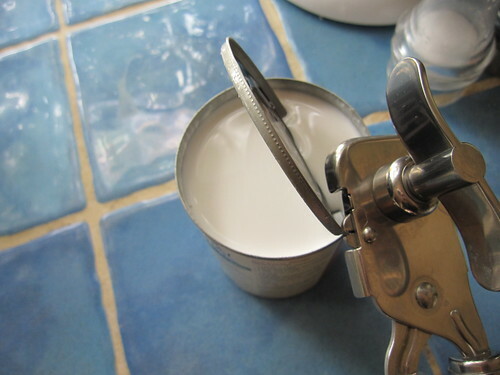 And since I was first married, I have owned the standard, swing-away can opener —several of them, in fact, because after a few years the joints get rusty and the handles stick and the rotary blade gets dull. So, empowered by Larry’s suggestion, I immediately started googling “stainless steel can openers” and found the Rösle, the mother of all can openers. I was so excited that I dropped everything and immediately buzzed over to Sur La Table to buy one. And the first time I used it, on my unopened can of coconut milk left on the counter, I was instantly a fan. The down side is that it’s expensive—between $40 and $50 dollars, but there are several reasons why I feel it’s worth it. First, it will never rust and that is HUGE in my opinion. 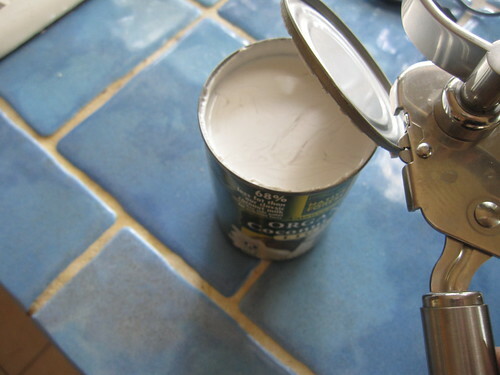 Second, you position the can opener on the top of the can and it cuts the metal around the outside of the lid. 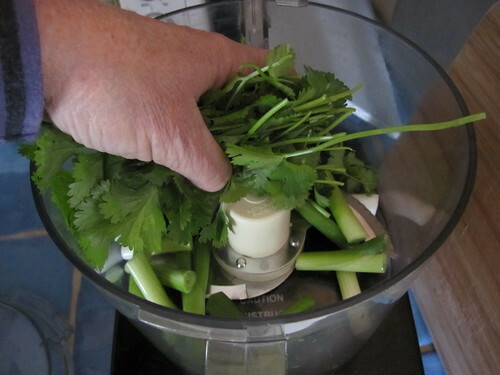 This serves two purposes—the tool never comes into contact with the food in the can (making it much more sanitary) and there are no sharp edges to cut yourself on. 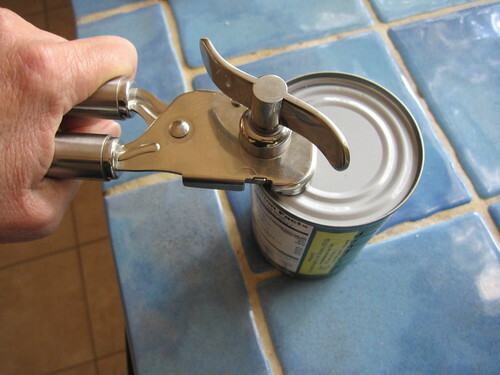 Since the can opener never comes into contact with food, you just need to wipe off the handle and put it back in the drawer—no washing necessary. Rösle makes two types: the one-handled and the two-handled. I bought the two-handled one because it has a special lid lifter (integrated pliers) that helps remove the lid. But as far as I can tell from reading reviews, the one-handled is just as good. These make great gifts for your favorite cooks in your life. 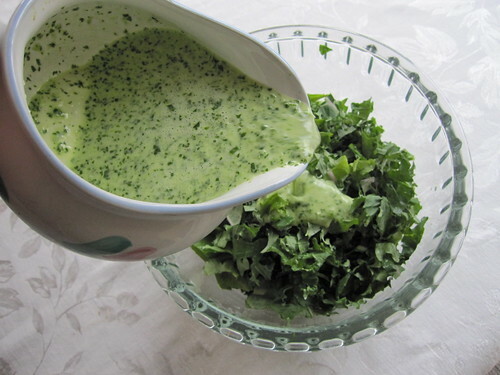 In honor of my new Rösle can opener and lighter eating after the heavy holiday fare, here is a wonderful salad dressing recipe from 101 Cookbooks’ Heidi Swanson —my new favorite (thanks to my friend, Lorraine, for sharing with me!). 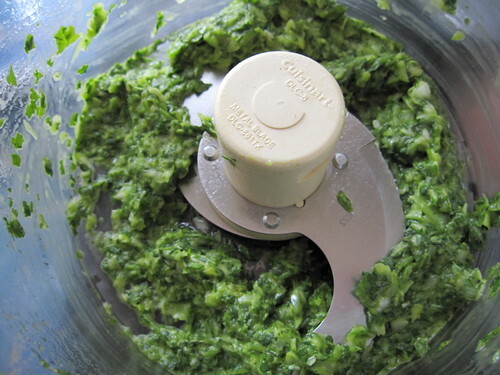 Pulse the chile, onions, cilantro, garlic, salt, and oil into a paste with a food processor. 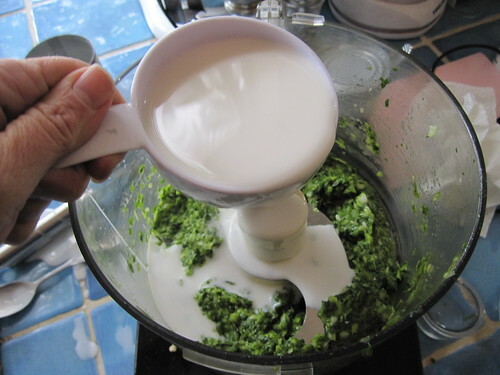 Pulse in the coconut milk in two additions before adding the lemon juice to taste, a half a tablespoon at a time. 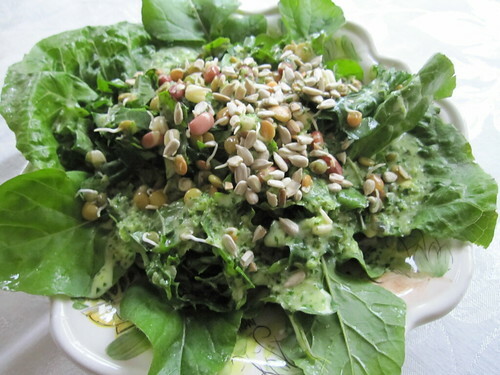 Heidi puts this dressing on cooked beans, but I use it on raw kale, arugula, and sprouted beans to make a yummy and vitamin-rich raw salad. 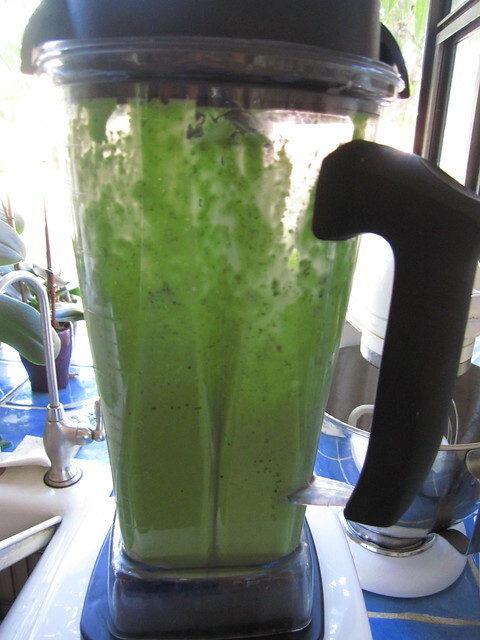 Marinate chopped kale in the salad dressing for a couple of hours. 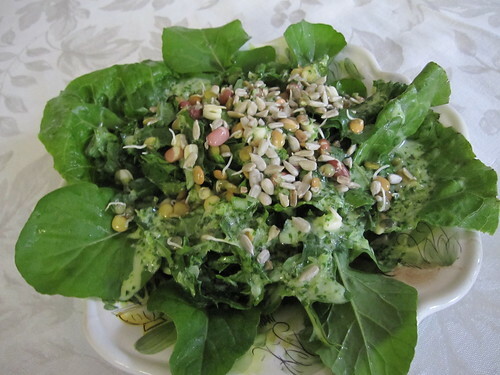 ...and then add the kale to your other greens and top with extra dressing, sprouted beans and sunflower seeds or pepitas. 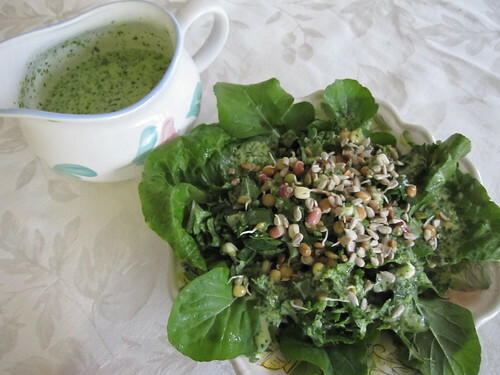 This is a really nice way to add raw kale, one of the most nutritious vegetables around, into your diet. Chopped, marinated kale, by the way, is awesome the next day. 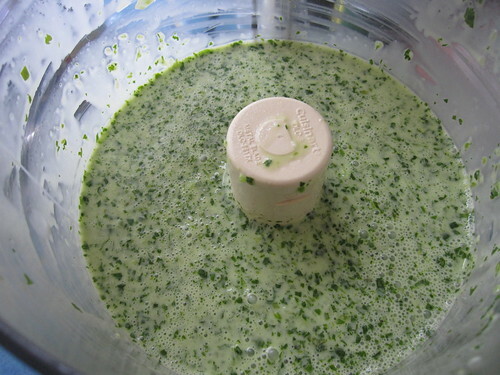 The salad dressing keeps for a week in the refrigerator.